Inside-out brand building creates those coveted lasting relationships with stakeholders. As emphasized by the industry leaders who joined Gideon Fidelzeid in New York for this PadillaCRT-hosted panel, your values and employees - and the stories they bring to life - can be your greatest asset. Gideon Fidelzeid (PRWeek): What does building the brand from the inside out mean? How do you do it? Barry Saunders (Joe Smith – the brand consultancy of PadillaCRT): We began to see the rise in purpose shortly after 9/11. And when the world economy crashed at the end of the 2007 and the beginning of 2008, we started getting executive-level calls asking, "Can you help me give my people a good reason to get out of bed in the morning?" It was no longer, "I need a really good campaign." This rise of purpose became about connecting your employees with what your company believes. How do you, very deliberately, create spaces where your employees and your stakeholders can dance together around brand purpose? It’s an inside-out and outside-back approach. The magic happens in that place of knowing what a company believes the world needs. Amy Davis (Mayo Clinic): Employees create our brand in every patient interaction they have. If you come to Rochester, Minnesota, we actually have people working full-time at the airport. Their job is to greet patients because the experience for patients starts way before they ever see the physician. It’s about the maintenance workers, who make sure we have tulips in the spring. It’s the HR people, who help us hire the best people. Everyone at Mayo Clinic feels connected and plays a role in taking care of our patients, even if they aren’t direct caregivers. We’re a very value-based organization focused on mission. We take really good care of our employees, but if you want to be really wealthy as a physician you can make better money somewhere else. We attract the kind of employee who wants to take care of patients every day, and that is their calling. On their first day of work, we have an orientation program focused on connecting them to the brand. We show them all kinds of brand stories; we make them feel emotionally connected to Mayo Clinic and their role. We don’t want them ever to lose that line of sight. It’s easier if you’re a caregiver to feel like you’re taking care of patients. We have to work harder to make sure those people who don’t have direct patient contact feel that, too. It’s very deliberate for us because our employees build our brand. Teresa Yoo (IBM): We have a saying at IBM that "to be a great brand, you actually have to be a great company." So there is no inside or outside. I talk about brand in terms of character, because people define brands differently. Brand is a logo, look and feel, and tagline. Those are aspects of how the brand materializes, but it’s really about being clear about who you are, what you value, what you believe, and what you want to do in the world. And then, how do you manifest that in the experiences that you create and in the behaviors you exhibit. That’s what we focus on. Leslie Coyne (GE): Working with Barry and Joe Smith, we’ve come to understand that the way we’ve told the GE story in the past hasn’t always resonated with our audience. Over the last couple of years, we’ve transformed messages to be more around how GE gives the world what it needs. We are in energy, healthcare and transportation. In those sectors, we’re truly making a difference. Now, we tell stories of how the software we’ve built for hospitals takes only six minutes to diagnose a patient with stroke symptoms. It previously would take six hours. The treatment window is four hours, so when we talk about our technology, it’s truly saving people’s lives. That’s where our brand starts to resonate. This is still an evolution for us. We want our brand to be accessible, meaningful. As we’re becoming a software company, we’re at an intersection where we want our employees, students, and shareholders to see GE as the world’s premier digital industrial company – but along with that, also the impact that it is making. Fidelzeid (PRWeek): If you could eavesdrop on some customers or clients talking about your brand, what stories would you hear? What experiences would they describe? What do you hope they’d be sharing? Coyne (GE): Unfortunately, I think it’s different from what I would hope it to be. We hire around 11,000 students a year. It would depend upon where you are in the world, but in most cases they see GE as appliances and as lighting. I was in a taxicab here in New York. The taxi driver said, "What are here you for"? I said, "I work for GE." "Oh, you make lightbulbs." I said, "We do, but that’s actually only about 1% of our revenue." That’s pretty representative of how a lot of people see GE. From a student’s perspective, they know the monogram, but they don’t know what it stands for. We are competing with the Microsofts, Apples, and Googles for tech talent. What we’re using to draw students in is to talk about our impact, our leadership opportunities, and the community that they’re joining. It can be overwhelming for a student to think about a company of 300,000 people. So we talk about the ripple effect one individual and their idea can have on innovation. That is the message I’d love to hear students talk about. GE is putting electricity in villages, running water in places where they don’t have access to it, and saving lives through healthcare. Our aim for students is to be able to understand the magnitude. Saunders (Joe Smith/PadillaCRT): We launched Dare to Lead for students at GE’s target universities. They come in for a two-day immersive experience of what it would be like to work at GE, hear some guidance and inspiration, and then we give them an innovative methodology to actually chart what they would do. We say, "Would you please on your way home do a quick video on your phone and send it to us." The response was great. With the online applications being posted at the Dare to Lead website, the chatter is more along what we’ve been hoping it would be, which is that they’re beginning to see the massive impact the company has. The story that they’re telling is much different than "You make lightbulbs." Coyne (GE): We’ve done this now in six countries, and in every case the words that students use to describe the experience is "truly transformative". But this is less about recruiting and more about how do we invest in students. In Nairobi during a Dare to Lead session, we had students with tears in their eyes describe how meaningful the experience had been. They now see a view into what they could be, whether it’s with GE or some other organization. They can see their potential as a leader. Yoo (IBM): A lot of our clients would talk about Watson and how it can be applied to transform professions and industries. The value that our brand brings to that new capability is trust, because a technology like artificial intelligence/machine learning can be scary. It’s about data, but we apply it in a very ethical, smart way that will be safe and good for society and business. Davis (Mayo Clinic): We hear from our customers three different themes. "They could figure it out when no one else could", because there is a lot of misdiagnosis. We also hear a lot about "coordinated care." Lastly, we hear, "They cared and they listened." When you first come to Mayo Clinic, a specialist spends an hour with you just listening and taking notes and reviewing history. For a lot of people who are really sick, they haven’t had that experience before. The mere act of someone listening is a very simple and powerful thing. The stories that bubble up are always simple things that had a profound impact. It’s about the care team who helped a father buy toys for his kids because it was going to be the last Christmas he spent with them. Or, about the nurse who came in on her weekends off to play video games with a terminally ill boy. Those one-on-one connections and the difference that people make in each other’s lives is the stuff that inspires our employees most. 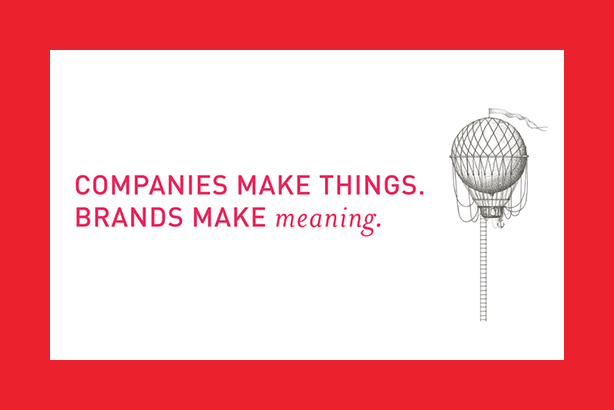 Fidelzeid (PRWeek): Purpose and value are crucial words to every brand. How do you effectively infuse them into your employee and customer interactions? Davis (Mayo Clinic): We do a ton of storytelling and we really use it first with our employees. There isn’t a meeting where I’m not going to try and make you cry, because it’s so easy in our busy lives to walk through and be very focused on our work. Every day we want you to stop, pause, and remember why we’re here. We also use our facilities to instill our brand. In all of our major campuses, there’s a piano playing. There’s nothing more powerful than walking to your next meeting and seeing a patient playing the piano and seeing a woman dancing in a wheelchair. It absolutely reminds you why we’re here. And we have all kinds of meditative spaces that make you feel very connected to the mission. Yoo (IBM): We say we’ve invented a lot of things at IBM, but our most important invention is the IBMer. We take that very seriously and bake them into all of our programs. The culture is very collaborative. When Sam Palmisano, our CEO in 2004, decided that we needed to infuse some new meaning into our values, we had a cross-company virtual collaboration. We had all the employees talk about how we might adjust and breathe new life into our values. Those new articulations of the values are now part of hiring, recruiting, and performance evaluation. We have a whole community that’s set up for people to share stories about how we live our values. Now we can teach not just from the top down, but each other as peers. Saunders (Joe Smith/PadillaCRT): Many organizations breathe into their workforce a culture of "Leave your soul in the car, crack the window open so that it can breathe, come in, do your job, and step back into that when you get home." Of course, this means we’re actually leaving the best of a person and their great work out of the equation. This is why purpose and values are really important. If your purpose starts with being the best at whatever, you’re not there yet, because you’ve made it about you. Your purpose needs to be about the people that you’re serving. Second, values must be backed by actionable, observable behaviors. They are things that people say about you because they have experienced it. They may not put the words exactly the way that you’d want, but it’s going to be pretty close. If your values are to be trustworthy, innovative, communicative, all of that kind of stuff, you’re probably not there either because then you’re like every other company. That’s where most people get – to table stakes that are just OK, but who isn’t expecting these things from a company they want to do business with? Coyne (GE): This is entirely driven from the top, so what our CEO Jeff Immelt represents he expects his leaders to emulate. I’ve heard Jeff say many times that jerks don’t get promoted at this company and it’s true. We’ve gone through an evolution of our values, updating them so they keep up with the changing world. Right now, being able to act with speed and empowering others is something we are constantly talking about. GE is a large company in 175 countries. If people who are leading in local communities can’t make decisions without getting approval from headquarters, we are slow and not making the right decisions. So he has set that standard. This whole idea of leaders teaching leaders is something that is expected at GE and those who do it quickly move through the organization. Jeff spends more of his time on people than any other thing. Fidelzeid (PRWeek): What is the biggest challenge in identifying and telling the right story to build that brand connection all organizations seek? Coyne (GE): It’s the one that resonates. In some cases, people feel passionately about making sure that remote villages in India have access to healthcare. So to talk about the baby warmer that we developed, that doesn’t require a mom in a remote village to get to a hospital, is powerful. Our chief global research technology leader in India starts off every conversation by saying that 5.8 million people in India do not have access to electricity and 3.4 million don’t have running water. His mission is to change that. So it’s based upon your own experience. A lot of people tie work that GE does to somehow affecting their family or community. I ask students and recruiters all the time, "What story do you tell?" A lot of times they look at me with a blank stare, which makes me nervous. I was at Georgia Tech and there was a very passionate recruiter. He said, "I tell the story about Baghdad and how before GE came in and provided the power grid there were outages all the time. Now they have energy around the clock." Saunders (Joe Smith/PadillaCRT): Great storytelling is about matchmaking – getting the content right and in the right places. The second thing on storytelling is understanding what our intended audience is willing to hear. That is the piece our profession didn’t always afford a lot of consideration. What story will most resonate with 19-year-olds at Georgia Tech? Having that portfolio of storytelling options allows you to say, "This is the one that’s going to help them connect with my company in a way they haven’t." We have a great opportunity to seize on this, versus the story that’s all polished and perfect and gets told at the steady drumbeat over and over. Yoo (IBM): We shoot in our storytelling for more relevance versus just visibility or having the loudest voice. Relevance is a really different thing because only you decide whether we’re relevant. Dialing in, understanding the context of what’s going on in the world, and what we have to bring to the table, that is formula that you need to solve. A great example of that for us is at the beginning of the financial crisis in 2008. We had a strong point of view about how technology can improve things in society and business that we called Smarter Planet. That was a very dark time when we thought everything was falling apart. What we did in our storytelling was created arguments for how things could be better using technology, like transportation and banking systems. That was the way in which we dialed in, to be relevant in the context of what was going on in the world. Davis (Mayo Clinic): It’s about meeting the consumer where they are, having stories that are relevant to them, and about emotionally connecting to them. What I always tell my team, Mayo Clinic is never the hero in our stories. Nobody wants to hear Mayo Clinic beating its chest and talking about how wonderful we are. Our patients are always the hero. So the patient is Luke and we are Yoda. The patient is Frodo and we are Gandalf. We’re going to be the advisor on the patient’s or the family’s journey, helping them along. Sometimes we can heal and give them new technologies so they can live an amazing life. And we hold their hand and give them dignity when we can’t. But we always want to make them and their families the heroes of our stories. Fidelzeid (PRWeek): To tell a strong story externally, your internal audiences must understand it and be positively impacted by it. What are the keys to presenting your brand story differently, but still powerfully, to an internal audience? Yoo (IBM): We don’t tell stories differently. We want the stories to be authentic, so we like to feature the people behind the innovation – our employees. What is the innovation, the story that we want to tell in the world, and who’s working on it? Why does it matter to them? Why are they passionate about it? That’s where it feels honest, authentic, and relatable on lots of levels, not just in terms of, "That’s an amazing innovation." Saunders (Joe Smith/PadillaCRT): It’s a bit about having a core storytelling platform and bending it in whatever direction somebody has the ears to hear it. So I’m a spouse, a dad, a grandfather, and a son of aging parents. Something happens that the family wants to know about. I’m going to give the boys the abbreviated version – they just want the facts; my mom a very long, detailed version; and my wife, an artist by profession, a more emotional and conceptual version. Then I’m going to give my grandson son a high-five. I’m still sharing the same content, but I’m dialing up different pieces of it depending on my audience. Coyne (GE): I don’t know that we’ve cracked the code on this. Often times, we focus too much on telling our story externally and neglect to realize that all of those great stories could be so powerful if we used them internally. A video that was part of the outcome that Barry and his team worked on, What the World Needs, is a beautiful illustration of how GE is making an impact in different industries. A year later, Susan Peters, our VP of HR, said, "I want all of our senior executive officers to see this. This is our rallying cry." Why didn’t we do this when we created this for students? So we’re still trying to connect those dots; the day that we do we’ll be a much better company. Davis (Mayo Clinic): We always start inside. We never want our staff to learn something about us in the paper. So we always cascade our news and announcements so our people find out from us first. We also have an e-newsletter that goes out to our staff twice a week. It’s just brand building, no operational or business news, nothing about policies and procedures. It’s all inspiring stories. All of that goes out externally only after it’s been shared internally. We find that it really inspires our staff. You don’t have to have a story in your area to be inspired and see the difference that Mayo Clinic makes. It’s the same things that make patients inspired to want to come here. Fidelzeid (PRWeek): How do you equip staffers to tell your brand story? Coyne (GE): We created a platform called MyGEStory.com that encourages all of our employees to tell their story. I wrote my story about how GE has enabled me to be a better mom, even though I thought I would only work until I had a child. GE has actually allowed me to influence how I raise my children. I see the incredible work of our scientists, then I go home and encourage my child to go deep in science and math. The moms and dads that I’ve met at GE have given me better parental advice than probably most mom groups would have. We have thousands of stories. It’s an external site so we host it internally, but anyone can read those stories. Saunders (Joe Smith/PadillaCRT): I was a marketing director for a large YMCA association for a while. The first thing on the agenda of every staff meeting was called, Why We Are Here. Whether you were on the frontlines as I was or in the back office, we rotated through on a weekly basis. You would tell a story that you had experienced personally about how the Y had impacted a child, a family, a community. Yoo (IBM): We started a ritual several years ago called Start a Meeting, Share a Story. It’s about getting employees to think about an exceptional anecdote based on our values and practices – and sharing and inspiring their teammates with it. Even our CEO Ginni Rometty does it with her team. Externally, our employees are very involved in social media. We have the most employees on LinkedIn of any company. So they are out there telling IBM stories, almost too much. I always ask when we look at social media, "Did you take out the IBMers? I want to know if this is real or all of us going out there and talking about something." We really encourage them to be active. Davis (Mayo Clinic): Some companies get a bit fearful of that. Our employees create our brand every day in their interaction with their patients. Why wouldn’t we want them to do the same thing on social media? We have a blog, Sharing Mayo Clinic, where our staff and patients share their stories. We have a news center on the homepage that’s interactive. We encourage questions, comments, and opinions, good or bad. We want to hear both. Then we have a few series such Voices of Mayo where we do profiles. We’re constantly asking for people to share their stories. It’s a great well of content. Fidelzeid (PRWeek): What are the keys to reaching consumers that may never be customers? How important is it to actually do that? Davis (Mayo Clinic): It’s really important. We aren’t Disney World. No one wants to come to Mayo Clinic. We’re really a place for the sickest of the sick. What we think a lot about is making ourselves relevant to people who may never come to see us. We don’t want them to have to come see us, but we want them to understand that we are a trusted source. So while we put out a lot of brand stuff about our research breakthroughs and great patient stories, we do get a fair amount of information out on everyday health topics, such as the Zika virus or flu shot. We come at it from a way that we believe is very trustworthy. We’re not trying to sell anything, we’re just trying to share knowledge. That’s an extension of our mission. But to make sure that you think about us when you’re really, really sick, we’ve got to start that relationship with you before. Yoo (IBM): Great brands create headroom for future growth. How is it that Apple has permission to make a car? A lot of it has to do with what you believe Apple is all about, which is bigger than their product line. So that’s why it’s important for our brand to be relevant to people who aren’t our clients today. It’s also about future clients and being welcomed into communities and markets. You want them to be glad that you’re there and that they understand what you bring to the table. Saunders (Joe Smith/PadillaCRT): We think a lot about mapping the customer experience journey. Great companies have done it intuitively, but now there’s some good science to it. The first two stages are awareness and consideration. In those stages, you can either shape the brand from a product standpoint – as in what does it do – or you can shape it from a character standpoint. The reason Apple is able to go into automotive is because there’s a belief that they’ve cultivated courageous innovation, elegant design, and making things easier to use. We talk a lot about personifying your brand. But you need to focus on what it is in that persona that will allow external stakeholders to truly ponder where it can go in the future. Coyne (GE): We are a b-to-b business, but our marketing organization has done a great job of thinking about reaching everyone because our brand is constantly in motion. They are going through an effort right now where they’ve selected a volcano near a village in Nicaragua and predicting when this volcano could possibly erupt using GE sensors. Fifty million machines are being enabled with GE sensors for predictive analytics. So it’s all about everyone understanding they will interact with our brand in one way or another, even if it’s not as a customer. That importance of having the world understand what GE does is really critical. Fidelzeid (PRWeek): How is building your brand different in 2016 than it was in 2006? Davis (Mayo Clinic): The consumer is so overwhelmed with information. If we think back 20 years, you could focus on a few mediums. You can’t do that anymore. We’ve put a lot of work into our earned, owned, and social because we’ve got to meet the consumer where they are. For some people, that’s on their mobile device. For others it’s getting their news through Facebook or apps or YouTube. You can’t just pick one or two channels anymore. If you’re going to go after the consumer, you’ve got to meet them in a variety of places and have strong channels. Yoo (IBM): Authenticity is really important. If you’re not authentic to your character, people find out in seconds, not days or weeks. So that’s why always being authentic, really making sure the experiences you create are true to your brand, is critical. Saunders (Joe Smith/PadillaCRT): The year 2006 was about the end of "Here’s our brand in all its polished glory, buttoned up so neatly, we’ve got control over it, and we’re going to tell you what you can believe about it." I worked for AIG until 2006. Fortunately, I exited before one of the most iconic brands in the world tumbled. We aren’t in control anymore. It’s truly a dialogue. It’s easy to lose control of that dialogue unless we know who to believe, who we are, the promises that we’ll never break, and then design products, services, experiences, events, and campaigns that consistently deliver on those promises in ways that are meaningful. That’s a very different world than the one I grew up in. Coyne (GE): I would just add it allows us to take some risks, to experiment, learn, and iterate. We have been one of the first employer brands on Snapchat and we’ve learned a lot from it. We try to be first on all different kinds of platforms, but also to learn and do it differently the next time.